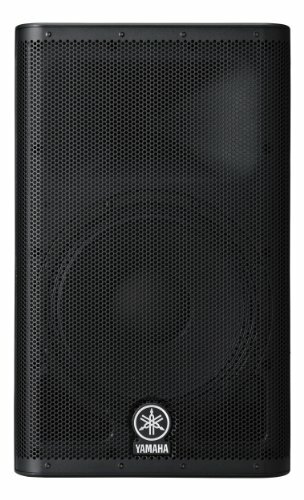 What Are The Best Speakers For Your Church Sound System? 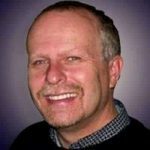 Why Did We Choose the Yamaha DXR12 1100-Watt Loudspeaker As The Best Speakers For A Church Sound System? 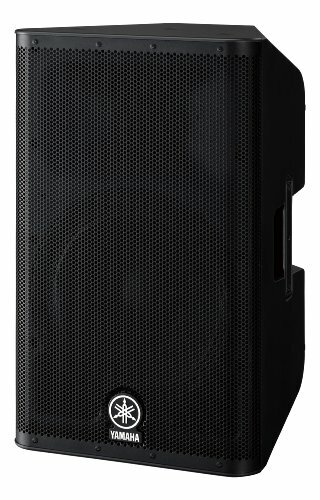 Conclusion- Why Should You Buy the Yamaha DXR12 Loudspeaker? Yamaha is a leading audio equipment manufacturer and their loudspeakers can be found on stages across the world. With their DXR12 1100-Watt 2-Way Powered Loudspeaker, they have created one of the best set of speakers for your church sound system. The DXR12 speaker is intended for professional use. It is a high-end speaker that delivers exceptional sound, thanks to a variety of design elements. For example, the DXR12 speaker is equipped with high-efficiency amplifiers, intelligent dynamic control for the output levels, and advanced DSP protection. Yamaha built this speaker for use as a main speaker or monitor. The symmetrical enclosure design allows you to place the speaker on the floor for monitoring or mount it to a dual-angle pole mount. 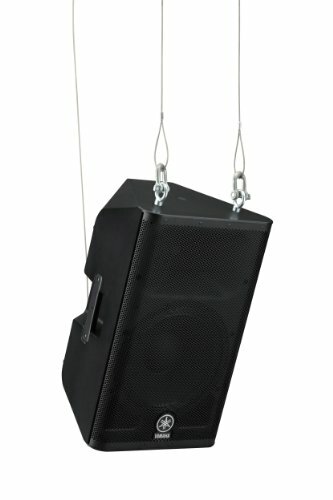 You can even adjust the angle of the speaker on the pole mount to direct the sound toward your audience. If you are tired of speakers that do not deliver on their claims of producing superior sound, the Yamaha DXR12 is a great choice. 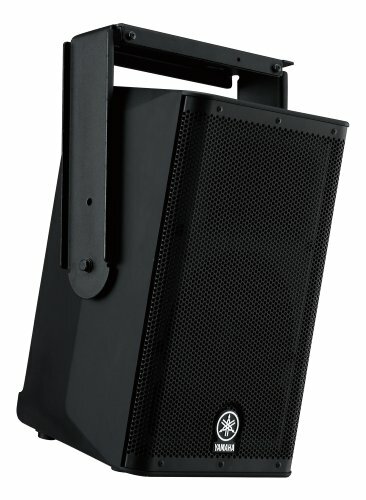 Whether you need new speakers for performing at venues or for your church PA system, you should take a closer look at the Yamaha DXR12 2-Way Powered Loudspeaker. Speakers are either passive or active. Active speakers are powered and include a built-in amplifier. With passive speakers, you need to connect an amplifier. The inputs and outputs also require inspection. The right loudspeaker for your sound system should use the same connections as your other sound equipment. Luckily, most equipment uses the standard XLR connector. The number of inputs and outputs may also make a difference when comparing speakers. For example, if you need to pass the connection through to another speaker, the speaker that you choose should include a link out the connection. Digital signal processing (DSP) is often included with powered speakers to provide more control over the sound and improve the quality of the signal before sending the signal through the speakers. If you want the best loudspeakers, active speakers with reliable DSP are your best option. The Yamaha DXR12 possesses all the top features that you need in the best loudspeaker. It is an active speaker with DSP and LED indicators. It is also made by a reliable brand with decades of experience in the audio equipment industry. These are powered speakers, which means that they have an amplifier built-in to the design. With the DXR12, you get 1100-watt class-D amplifiers, which can maintain high sensitivity up to 133 decibels. You can blast these speakers as loud as you want without any loss to the audio quality. The speaker is also equipped with an onboard 3-channel mixer. With this speaker, a solo act or individual speaker may not need any other sound equipment other than microphones to set up a basic sound system. The variety of inputs is perfect for a vocalist or amplifying a single instrument. You also get multiple rigging points. It includes the standard rigging points for eye-bolts and U-brackets. However, the bolts and brackets are not included. 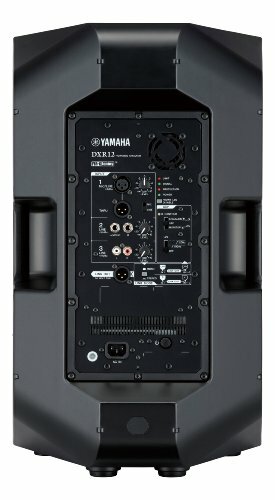 The Yamaha DXR12 2-Way Loudspeaker has a lot of features to like, including the DSP protection, the overall power, the case design, and the back panel. The Yamaha DXR12 features advanced DSP to help improve maximize the quality of the output. When combined with the power of this compact speaker, you can produce a superior sound that carries throughout the room. Most users will like the case design, which allows you to easily use this speaker as the main speaker or as a monitor. When placed on its side, the angled design points the speaker toward the performers. You can also mount it to a pole or set it on the ground. The back panel is another advantage of this loudspeaker. You get multiple inputs, including three lines in. These inputs include a standard XLR mic input, an XLR throughput, and an analog input. Each of these inputs includes its own level control. There are a couple of possible drawbacks to this speaker. The first issue is the price. These speakers are expensive, and you are only getting one speaker. However, most customers will agree that the DXR12 is worth every penny. The second issue is the weight of the speaker. The DXR12 is heavy, despite its compact design. When you already have a lot of gear that you need to transport, adding more weight can be an inconvenience. The Yamaha DXR12 loudspeaker is the best speaker for your sound system due to the quality of the product. This speaker is expertly crafted to continue producing exceptional sound for many years. The only disadvantages are the price and the weight. It is expensive and heavy. Luckily, these issues do not affect the quality of the sound. In fact, the DXR12 is one of the most impressive speakers available. The DXR12 is equipped with a powerful amplifier, a built-in mixer, and advanced digital signal processing. With these features, a solo artist can use this speaker as a portable sound system. It may also work as a PA system for delivering a speech in a conference room. The versatility of this speaker is its greatest feature. It can be used for a wide variety of live sound applications, and it continues to deliver superior sound compared to most other options. You may use it as a speaker, monitor, or portable PA system. The bottom line is that the Yamaha DXR12 is the best speaker for your sound system, and it may even work as its own portable sound system.